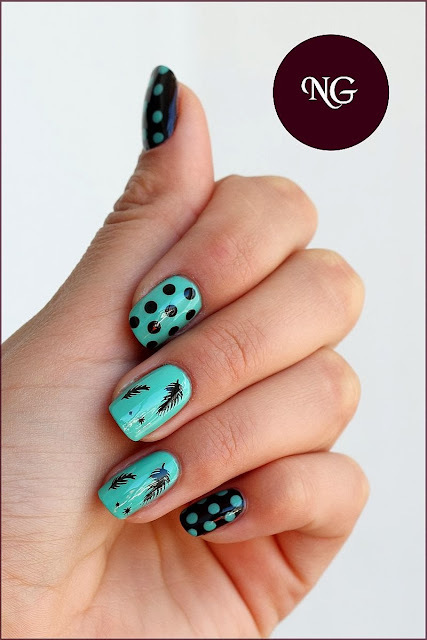 I am back with a new manicure from The Polish Addict Group Challenge: Inspired by Tattoos. I am not that into tattoos, so my manicure is practically a stamped image. If it were to make myself a tattoo, I could imagine the leafs from the manicure on my shoulder. The next challenge will be Inspired by Celebrity Nails and will be posted on the 12th of October, 2013. Iubesc aceasta combinatie. Astept si unghiile tale! Love them! That polish is gorgeous! 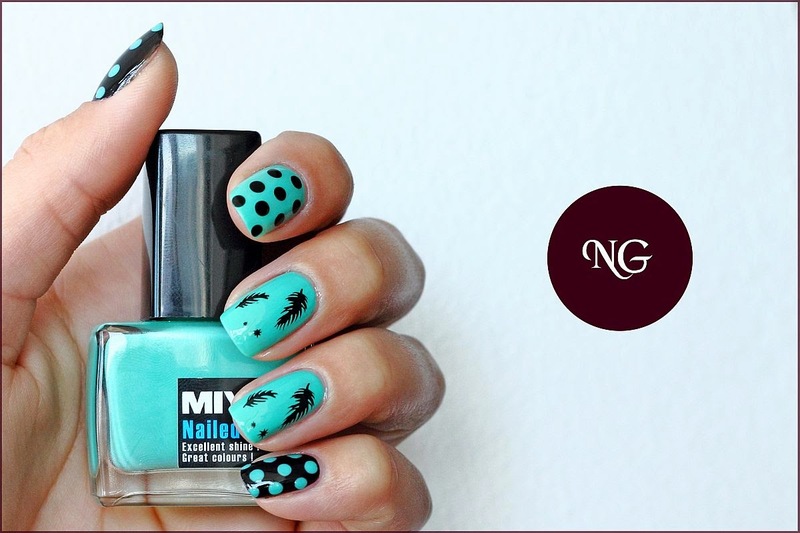 Perfect color, perfect feathers, perfect dots... i've got to say perfect nails! :) Very well done!